Makerspaces are popping up in classrooms and libraries in elementary/primary schools everywhere and 3D printers seem to be on the top of everyone’s must have lists. We’ve seen many makerspace teachers excitedly unbox their new 3D printer, only to ask ‘what do I do now?’ or to become quickly disillusioned and frustrated with the time and effort it takes to print out students’ designs. We’ve seen 3D printers quickly become pretty expensive dust-collectors, or worse still spend their days printing out endless ‘stock’ models and generic designs that other people have posted on the internet. So how can we make sure that the inclusion of a 3D printer in a makerspace actually helps students develop creative and critical thinking skills, design processes, collaborative dispositions and innovative ideas? Keep the focus on the desired outcomes of setting up a makerspace in the first place. It needs to be a space where students engage in thoughtful, purposeful making. Explicitly model and teach students how to think in the makerspace. Set up thinking protocols such as ‘ original, creative ideas are welcome here’, ‘don’t just stick with your first idea’, ‘have a clear purpose for what you are making’. Ask probing and well-chosen questions that encourage critical and creative thinking such as ‘what else could you try?’, ‘why have you chosen to do it that way?’ Display questions and ideas that encourage thinking invite students to add their own questions. Emphasise 3D design rather than 3D printing. Makers Empire’s 3D design software provides a range of easy to use tools for designing in 3D. These tools help students develop skills such as spatial awareness, visualisation, perspective, accurate representation and design concepts. The 3D design software can be used to try different ideas, tweak and modify designs, develop concepts for different design solutions and experiment with shape, size, angles and perspectives. 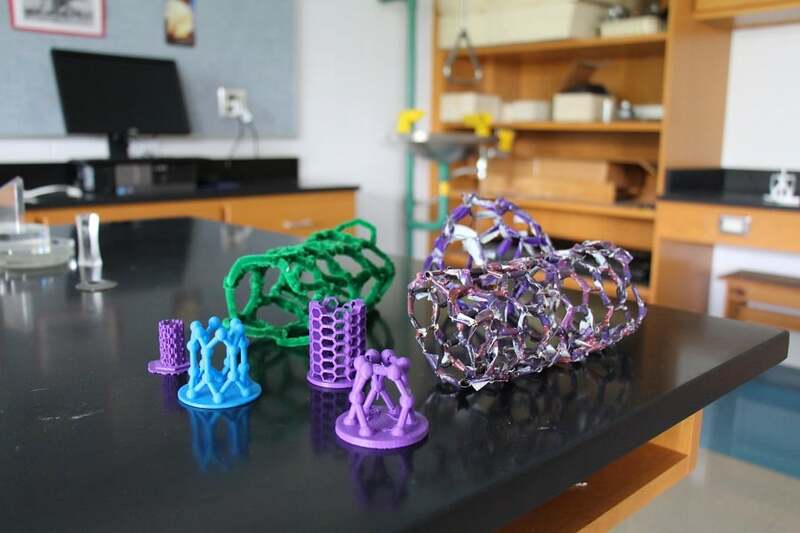 The 3D printer allows (reasonably) quick and easy creation of products but it is through the design process that students will develop the skills and dispositions we are hoping for. The 3D printer should be positioned as one of the tools in students’ repertoire for creating design solutions. What is the problem students are trying to solve? Who are they trying to solve the problem for? Is there an existing solution or product that could be improved? Provide students with real-world problems to solve and encourage them to identify problems for themselves and situations where they might find a better way to do something. This headset helps students see the role of the 3D printer differently. It shouldn’t be about everyone having to print everything they design, but rather making sensible, sustainable decisions about which designs should be printed? Which designs should we print out to test? What is the design brief and which designs best address it? Which designs might solve the problem best? Help students to achieve high quality designs and create effective solutions by setting up a design environment where the process of designing is valued just as much as the final product. An important phase of every design project is evaluating prototypes. Encourage students to make models and prototypes for testing, to evaluate their effectiveness, seek and respond to feedback and tweak their designs to improve their performance. By expecting students to generate several iterations before settling on a final product, we can model a growth mindset and help students embrace their mistakes and failed designs and opportunities for improvement. The 3D printer can play an important role in producing prototypes for testing and using it in this way helps students see it as a tool that can be used throughout the design process and not just a machine for printing ‘perfect models’. Design based challenges provide wonderful contexts for students to work collaboratively to solve problems and create innovative solutions and products. Students can use Makers Empire’s 3D design software and work on designs together, they can each work on particular aspects of a bigger design, or they can each produce designs and then decide which designs to test for further evaluation. This helps promotes effective design thinking, focuses on achieving a shared collaborative goal and also shifts the focus away from every student expecting to have their design printed.